Trapp Fragrances is dedicated to the independent retailer. If you have any questions please contact us at sales@trappcandles.com. We appreciate your interest in becoming a Trapp retailer. Please complete this form and a representative will contact you within two business days. Security Code: Please enter the code EXACTLY as it appears in the image below — it is case sensitive. If you cannot read the image above, click to load a new image. Please note: This inquiry form is for contacting purposes only. A wholesale application will follow. 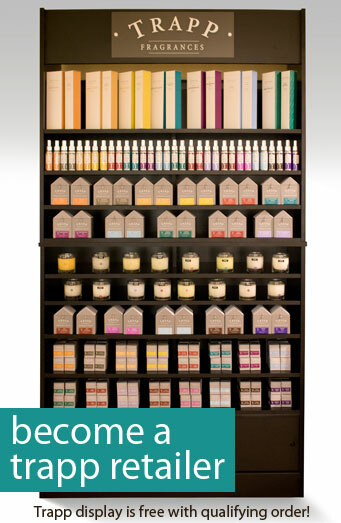 To discuss initial order minimums please contact a Trapp representative at sales@trappcandles.com.